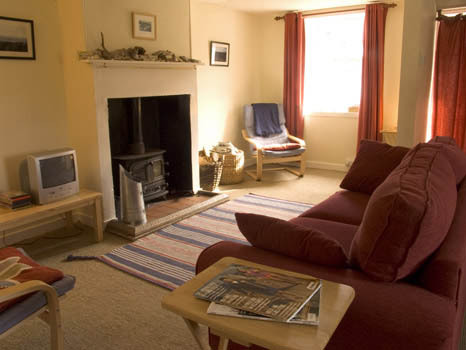 The cottage is double glazed with electric heating throughout. It also benefits from a Rayburn and a Multi Fuel Stove (coal and logs). The open plan living area is naturally lit by day and snug by night. It has a multi fuel stove; DVD player (plus selection of DVDs) and music centre, books and games for after dark entertainment. The kitchen is well equipped with a Rayburn (for hot water and cooking), a Smeg gas hob, a microwave (which can also be used as a grill), a double sink and a fridge freezer. 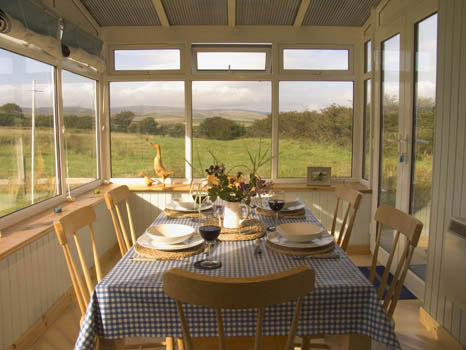 With beautiful views across the South Arran Hills hills, the newly built conservatory provides a space for “dining with the wildlife” with French doors leading out to the patio. The table can be extended to sit eight. 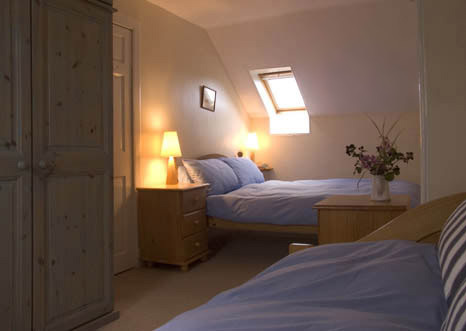 One single bedded room, one double bedded room, and a family room with one double bed and one single bed. A large barn adjoins the cottage housing the log store, laundry facilities and a large ceiling-mounted clothes airer, with plenty of room to store bicycles and other sports equipment. In the centre barn there is a full-sized table tennis table with bats and balls. The far end barn has under cover parking space for one car.